My most favorite time of the year is fall, especially here in New England! I live for anything pumpkin, hearty, and warm, so as we wind down this season, and transition into winter, let's celebrate with food! Reviews & Rec's: A Cinco De Mayo Recipe to Celebrate! Happy Cinco de Mayo everyone!! This holiday has always been my most favorite celebration! Freshman year in college at Burro Loco had me hooked ~ the margaritas were flowing and the chips and guac kept me coming back for more year after year! You can imagine my excitement when transitioning to a vegan diet, that Mexican and many other ethnic cuisines, are a favorable part of the diet! (sans cheese, of course). Thank God for dairy free alternatives! Daiya cheese is pretty darn good and satisfies that creamy comfort that we crave from dairy. I've mentioned before that the first book to inspire me to lean into a vegan lifestyle was Alicia Silverstone's, The Kind Diet. I have a list of other books and recommendations on my FAQ's page as well. I've had so much fun cooking my way through her book! This recipe was one of the first to confirm that I wouldn't in fact feel deprived without dairy! It's a Mexican Fiesta in a bowl! Try it in honor of my love for this holiday! Spread a layer of refried beans in the bottom of a 8 x 8 inch glass baking dish. Pit and peel the avocados, and place in a bowl. Mash the avocados together with the lime juice, and spread on top of the refried beans. Stir together the sour cream and taco seasoning, and spread over the avocado. Sprinkle the chiles over the sour cream, and top with a layer of black olives. Add the tomatoes, and sprinkle with the cheese. Heat the dip for 25-30min. or until heated through and the cheese is a bit melted. I believed in Santa Claus until I was way too old-- probably about 11 or 12, actually! My mom was determined to not get caught! She threw out all the stops and tricks even when we heard otherwise from our friends at school. She always said to us, "If you believe in Santa, he will come, and if you don't, he won't". Plain and simple. We were not about to risk the chance of not having him come visit!! After watching my favorite Christmas movies this month, which include, Love Actually, A Family Stone, Elf, Santa Clause, Home Alone, etc., to name a few, I'm very aware of the underlying theme -- faith. Faith means believing. Believing in something you cannot see. Believing that Christmas Magic does in fact happen throughout the entire year, and realizing that that magic comes from Love. Love which connects us to every single thing --anything that was ever created. Christmas brings us together to reconnect with our heart, to rebirth ourselves anew, to remember that we have the capacity to make magic happen--to uplift others and lead a pure life of love, and of light, and to honor our own unique truth. The truth being what lights us up inside--what we're called to do, what brings us joy, peace and inspiration to create! The symbolism of Santa to me, is God--the vast omnipresence of magic. To believe is to have faith. What I learned from my Universal Kabbalah teacher, Sivan, is that there are 3 principles of Faith. The first being, that if it came to you, it's from God. The second, If it's from God, it means it is good for you. Thirdly, If it came to you from God, and was good for you, then what is there to learn? Can you step into your own light? Do you have what it takes and are you ready? Challenges bring double the blessings. There's always a lesson to receive and an opportunity to evolve. In the movie that I watched on the flight down to Cayman a few days ago, Morgan Freeman says to Steve Carrel's wife in Evan Almighty, that 'when you ask for patience, God doesn't give you patience, he gives you the opportunity to be patient'. There's always an opportunity to practice receiving the blessings and the guidance we are always given, to be grateful for everything we have right now, and to acknowledge the lesson, so we have the chance to think right, speak right, and act right. Christmas reminds me to believe. To believe in magic. To expect Miracles, as Gabrielle Bernstein says. It doesn't matter how old I am, Santa and Christmas celebrations of family and love, reminds me that there's something bigger out there. We only see 10 percent of reality, according to Universal Kabbalah. The remaining 90 percent is in the unseen realm. This week, I'm remembering to focus my attention on others and on my surroundings, rather than myself, so that I can tap into that unconditional light of giving love. Through giving, Master Kabbalist and Mystic, Dr. Levry says that, "giving will guide you through every troubling situation into calm and still waters. When you give you create a pathway for blessings to come to you, for giving or serving is an extension of the Great Law of Love. This Law is one of the great laws in nature." With Love, Faith and Hope we connect with the holy trinity--we become a bridge from heaven to earth and therefore, anything is possible. Won't you continue to count your blessings with me, and carry the Christmas Spirit throughout the whole year! Thanksgiving is such a special time of the year! I love the holidays, with all the joy and celebration it brings, reminding us of what's truly important in our lives. For me, it's family, friends, my health, spiritual wisdom, and the inspiration that brings me ultimate fulfillment and happiness. This year I get to celebrate it with my friend and mentor, Karen. She's a Macrobiotic Chef here in LA, who I've had the pleasure of working privately with, to learn how to cook delicious whole food meals, and live a healthy lifestyle! She's graciously invited me to her home to have a proper 'Macro' Thanksgiving dinner, which is very appropriate! This Thanksgiving marks my fourth year without turkey, which resulted in me having to actively participate in the grand cooking process of this day. If I'm not eating the turkey, I have to 'step up to the plate' and create something that I'll actually enjoy, right? This year I actually get to show up to an already edible Thanksgiving Table! How lucky am I?! But the pressure is kind of on as to what I'll be making, wouldn't ya say?! I turned to one of my favorite cookbooks, that I often forget about called, 'The Self - Healing Cookbook' by Kristina Turner. I've decided to make one of her holiday pies. I couldn't decide between the Squash Pie or the Chestnut Cream Pie, but ultimately decided to go with the latter--more of a challenge and a little more unique! Grind almonds fine in the blender. Add amasake, chestnuts, vanilla and spices, and puree until creamy. Heat agar agar with 1/4C water until throughly dissolved--about 5min. Stir in the chestnut cream. Pour into a pre--baked pie crust. Let cool and set for an hour in the fridge before serving. Today, I'm off to buy packaged pre-steamed chestnuts from Trader Joe's and amasake from Whole Foods (ran out of my bulk order), a fermented sweet brown rice drink as the main macro sweetening ingredients for the dish. I'll have you know, I'm also attempting my very own gluten free pie crust too, which includes oats and brown rice flour! My day of Thanks will include a special prayer for all that I'm grateful for in my life--all that I have and all that I do not have. I will pour all my love into my pie, to show my gratitude for Karen's friendship and mentoring, and will enjoy one of my most favorite things--eating healthy food--being grateful for all it's abundance and all the knowledge I have for understanding how to nourish my body properly! Then, last but not least, I will honor my tradition of watching one of my all time favorite childhood movies, "Home Alone". Sounds like a pretty perfect day to me! I hope you do all the things that you love on this day! Be grateful to yourself for taking time to do what you need to do to care for you, so that you can then be your best self, and in turn, serve others, so they can be grateful for you too! Cook, heal, give thanks and pray! thanksgiving! what a wonderful opportunity to slow down, take a step back, and look around at your life, to realize all that you have to be thankful for. everybody has something to be thankful for--the gift of life, for one. for our breath, for the sun rising today and everyday, for a roof over our head and the fact that we have eyes to read this post. the list could go on and on. hopefully, you all take a mental inventory every night before you go to bed to list all that you are grateful for, but thanksgiving is a time when we can express it freely with giving back to those we love, in it's most basic form--food. our hands are a healing instrument. we can do so much with them, once you understand the power they hold. they are literally an extension of our heart, and love heals all. when you cook, you are pouring your heart and soul into that food, so be mindful of your intention as you create this meditative art form. to have the opportunity to cook for your loved ones, gives you the chance to send that loving energy into their being. this is my third thanksgiving without turkey, and no i do not miss it at all! i've been asking my friends and family recently what their favorite dish at the thanksgiving table is, and wouldn't you know it, nobody has mentioned the dead bird at the center. we can have so much more fun with vegetables! the creations are endless, unlike the animal possibilities. now, granted, these veggie dishes are often laden with dairy products--butter, cream, and sugar, which there is no need for! 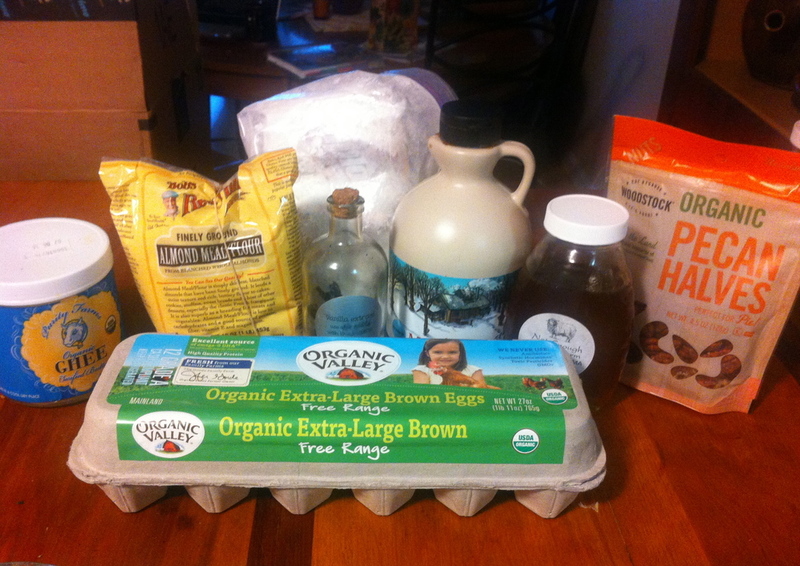 luckily there are easy substitutions like soy or hemp milk, earth balance butter spread, and maple syrup or brown syrup. try to veganize your fave thanksgiving dish and don't tell anyone that you did it...see what they say for themselves...it could just very well be the best dish at the table, and then you can surprise them after they mow down and say, "bet you never would have guessed it didn't have sugar or animal products in it"! for a little inspiration, this is my thanksgiving day menu. i'll be cooking for my family with love and appreciation for all the unconditional love, support and guidance they constantly give to me. without them, i wouldn't be who i am today, and for that i am overwhelmingly grateful. and their amazing pumpkin gingerbread cheesecake - or the pumpkin cupcakes with cream cheese frosting...i still can't decide! happy thanksgiving everyone, and thank YOU for reading my posts. your support and feedback keeps me motivated to inspire you to live your life with an open heart and a healthy, happy mind and body! cheers to you for being open and receptive to continue to move in the direction of health and love. with all the holiday parties, dinners and traditions, it is has become extra fun to try and incorporate my new eating habits into the mix! this is my second year without meat or dairy, so my family traditions of turkey for thanksgiving, ham for christmas and all the christmas cookie baking has taken on a new spin. some people may look at this new approach as daunting or even sad, but to me it's a new exciting project i can take on! this weekend i attempted to veganize our family cookie recipes. i thought it was going to be easy - substitute the real butter for earth balance vegan butter, the milk for soy milk, and the egg for egg replacer baking mix....well, it was not that simple. i went through many batches, and will admit that i got quite discouraged. but, luckily i have some trusty vegan cookbooks that are helpful! after studying some of their recipes to similar cookies, i can understand how some things work, and others don't...needless to say, i have transformed two recipes successfully!! and incorporated two more into my own repertoire! i absolutely love the holidays and what it represents - family togetherness. food is at the forefront of these occasions and it is a symbol of love to cook for one another, so i am thrilled to be able to contribute to express my love for everybody in my life. giving out baked goods is a wonderful way to do that, and is so simple. i urge you all to try one vegan recipe this year -there are so many online. i'm really enjoying the recipes from the spork fed cookbook. these girls are local chefs here in LA, and teach cooking classes and have an online cooking website as well. they are super cute and quirky! try their chocolate peanut butter cookies. i also took their thanksgiving classes these past two years and cooked the whole menu which was a total success! keep in mind, even if you're baking without dairy, there is usually flour and sugar in the mixes, so check yourself before you wreck yourself! you can even experiment with gluten free baking mix to substitute the white flour, and can use brown rice syrup or barley malt as your sweetener to avoid crazy sugar crashes/binges. check out thekindlife.com for inspiration. Keep yourself in check during the Holiday Party Season with these tips! i just love this cheerful holiday season! so many reasons to cook, bake, get together with loved ones, and celebrate with parties! i feel it is very important to be extra mindful throughout, not just because you want to stay fully engaged with the meaning of the season, but also because you need to keep your physical body in check! 1. nothing good happens after midnight. 2. try to keep your drink consumption down to 2 - with a glass of water in between. if you can't stick with this rule, at least stick to number 1! 3. don't go to a party without having a little something to eat prior. i always eat a light, healthy meal or snack before i head out, that way i don't eat whatever is in front of me which is probably packed with sugar and/or flour. 4. and to keep your weight regulated, when you wake up in the morning, drink warm water with 2 tbs of apple cider vinegar. it detoxifies you and keeps you trim.